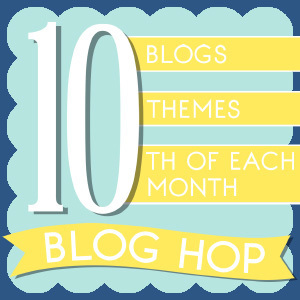 We’re back with our talented group of 10 creative bloggers to share June’s themed hop. 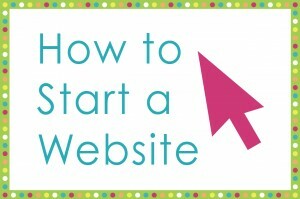 Head on over to their blogs to see and save their projects after viewing ours. Last month’s hop theme was CITRUS (where I shared Citrus Photography Art Prints), and there were so many other cute ideas! Pin this collage below, and make sure you come back on the 10th each month! 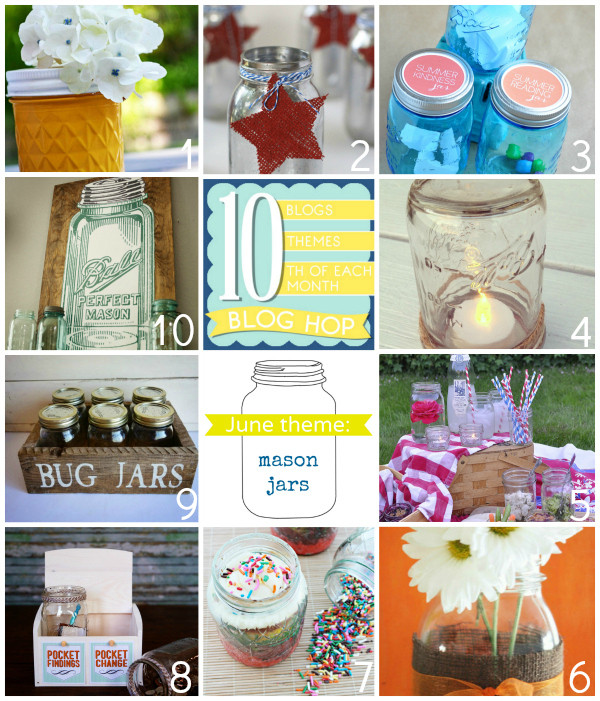 June’s theme is MASON JARS, I’m loving all the fun ideas! 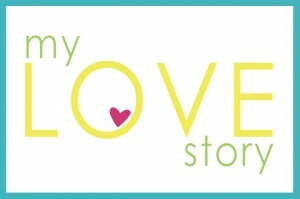 I’m laughing at myself that I’ve now shared photo art two months in a row on the blog hop. 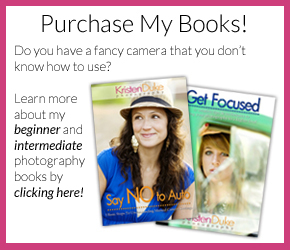 Yes, I’m a photographer at heart, but I love all sorts of other projects, too! This time, I printed out my photo art, and mod podged it onto a piece of wood as a large statement piece for my mantel. I’m organizing a 90th birthday party for my grandparents, and I planning it all around the Mason Jar theme, so they’ve been on my mind a lot lately! When I saw this mason jar clip art from Graphic’s Fairy, I knew I wanted to make a big statement piece for the party, and to save for my home afterwards. I didn’t take too many pictures of the step by step process, because it’s so easy, and I shared how to mod podge prints on wood a while back on my blog (check the link for more details). 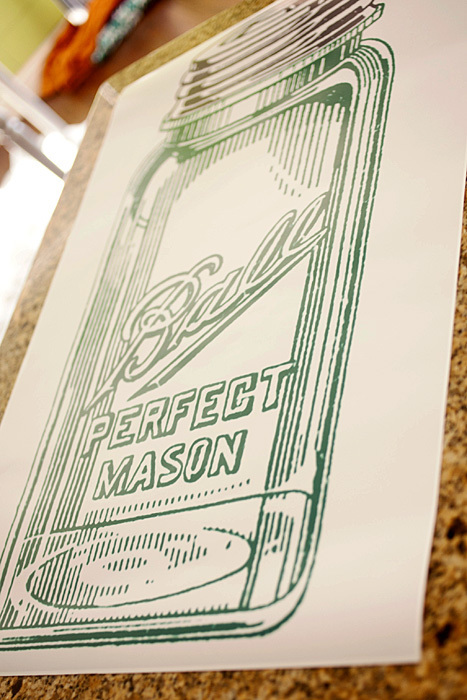 I printed the Mason Jar art onto a 20×30 piece of photo paper–I like BIG! When I initially uploaded the image to my local lab, it appeared to be too odd shaped to print the size I wanted, then I brought the image into my editing system (Photoshop) and created a blank 20×30 canvas and plopped the image onto it, made it bigger, and it uploaded fine. 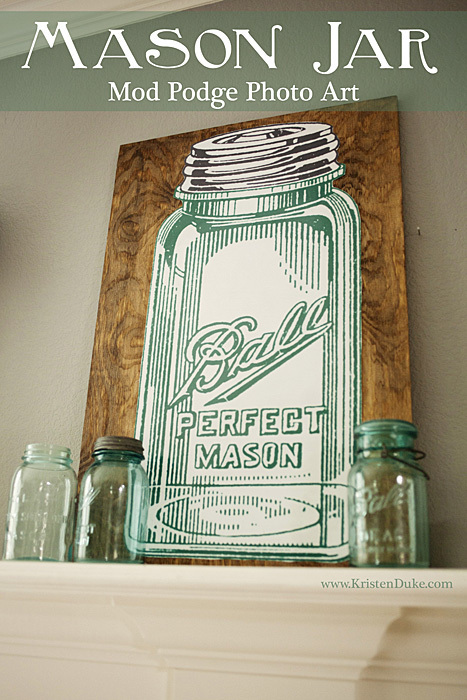 Adhere Mason Jar cut picture to stained wood with Mod Podge between wood and print, as well as on top of print and all over the edged of the print. Place in a visible spot for eye candy! That’s it! It’s a super easy project, and I love the look. I hope you get a chance to “hop” to visit all of my friends and their Mason Jar projects today! 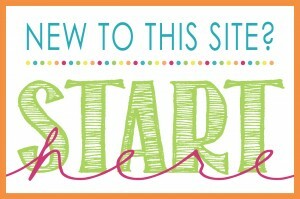 Don’t forget to stop by each month on the 10th- snag a button and place it on your sidebar so you’ll remember!